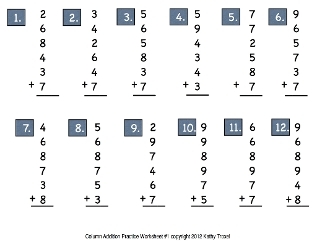 Practice 12 column addition drills step by step with music. Students say the facts as they follow along. Then they do the worksheet.